Many years ago, the first BMW 5-series was introduced into the market. In 1972, the 5-series sedan was officially born and shortly after the BMW M division was formed. Back then BMW Motorsport GmbH, introduced the first inline six cylinder engine with the special “M touch” for the E12 generation. According to active M-fans, back then there were six “M-versions” available with a performance between 180 hp (M 3.0) and 218 hp (M 3.5i, later M535i). Also, the automobile manufacture Alpina produced the first timeless and popular sedan based on the E12 in the 70s and early 80s – legendary names: B7 Turbo and B7S Turbo. 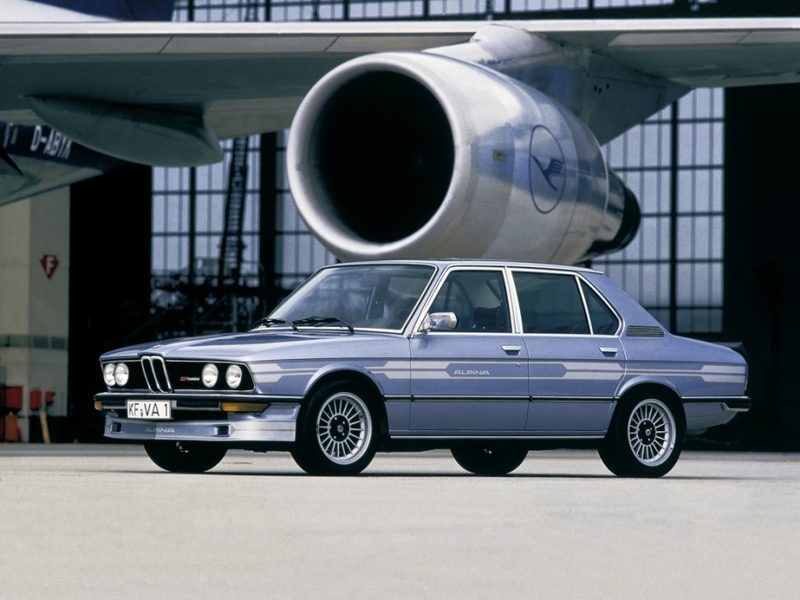 The successor BMW E28 generation, with the M535i gave us a little glimpse of the BMW M5 that was on the way. While the M535i without catalyst offered 218 hp with its 3.430 ccm inline six cylinder, in North America, South Africa and selected European markets, the first generation of the BMW M5 was available to purchase. Back then, depending on the market, the sport sedan was equipped with the M88/3 engine or the popular S38B35 engine. Those wanting to get a KW coilover kit for your E28 or even E12, will find something in our product range. Thanks to our suspension manufacturing, we can produce coilover kits for these 5-series on demand. Everything is made by hand, and only for the old 5-series legends will you have to send the original struts in so we can build a coilover kit for your E12 or E28 in an individual production. The younger the 5-series, the more KW coilover kits we have available. For the BMW E34 fans, who love the third generation 5-series, it is even easier to find a set of KW coilovers. Here you can simply click on the KW product finder on our website, select your E34 station wagon (or even M5 station wagon) or the E34 sedan and order the KW Variant 1 coilover kit. Here we also offer the KW Variant 1 coilover kit at a great price for all motor options, including the powerful 540i and M5. The amount of “Show” that is possible with the classic E34 today, was shown by German BMW fan Frank Sauerland, with his E34 that he “facelifted” to a BMW E39! 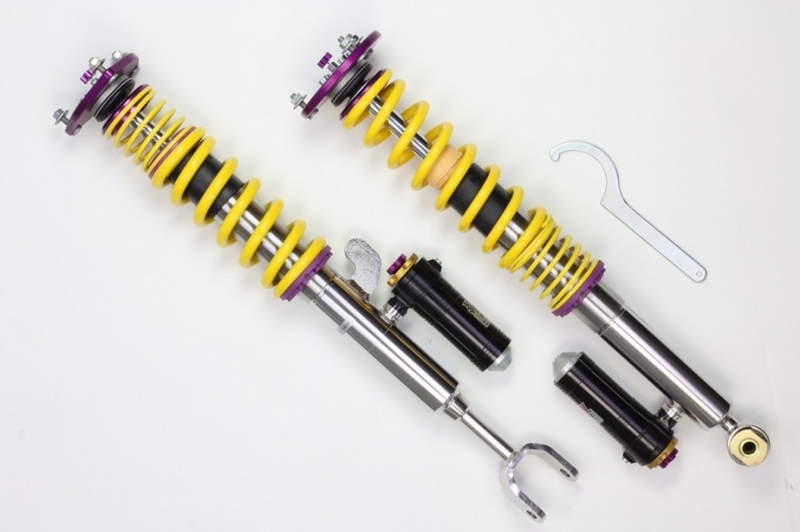 Short note: To produce the coilover kits for the BMW E34 we need exchange struts, that are only available in a galvanized version, but this suspension kit brings your E34 closer to the street by up to 75 mm, that is within the official German technical part certificate. For the BMW E39, the fourth 5-series generation, you have a larger selection of KW coilovers that have been produced by our KW headquarters in Germany. In addition to the Variant 1, Variant 2 and Variant 3, we also have the KW Street Comfort available, for the family dads among you. The difference between a Street Comfort and the Variant 1 for example, is that the Street Comfort is designed and setup for inccreased vehicle comfort while also allowing you to adjust the rebound damping forces. Although, with the Street Comfort (E39 up to 45 mm) you cannot reach the maximum lowering like with the Variant 1, Variant 2 and Variant 3 (up to 65 mm). By the way here you’ll find a suspension special from our friends of MotoIQ.com. With the KW Variant 3 coilover kit, that is separately adjustable in compression and rebound damping, you can extract every last quantum of performance out of your 5-series giving you increased driving pleasure. Due to numerous motor options for the E39, you have the choice:of eight cylinder in M5, 540i and 535i, a large range of inline six cylinders, and even the Diesel models provide fun in the 5-series! We do not even have to talk about the design, but when the facelift model was released in 2000, the E39 caught our hearts. Countless providers present headlights on the basis of the Celis light rings in the 5-series – also known as Angel Eyes. Rev(olutions) up your life! The first ten cylinder in a 5-series! For the M5 of the E60 generation, we now have the KW Variant 1 coilover kit available. Finally, the M5 with its V10 is available at a attractive price in the used car market. In addition to the KW V1 and V3 we have available for the M5, we also have a Variant 1, Variant 2, Variant 3, and Street Comfort coilover kit available for all other 5-series models of the E60. With the V1, V2 and V3 you can reach a lowering of up to 55 mm within the TUV regulations. With the Street Comfort, you can lower your car by an attractive 45 mm. Now the choice is up to you if you prefer an eight-cylinder (550i, 545i, 540i), six cylinder (535i) or for the first time want to drive a 5-series with a four-cylinder engine (520i and 520d) – please don’t cry – under the hood. For the E60 sedan and the E61 station wagon with BMW xDrive (all wheel drive) of course we also offer our coilover kits. 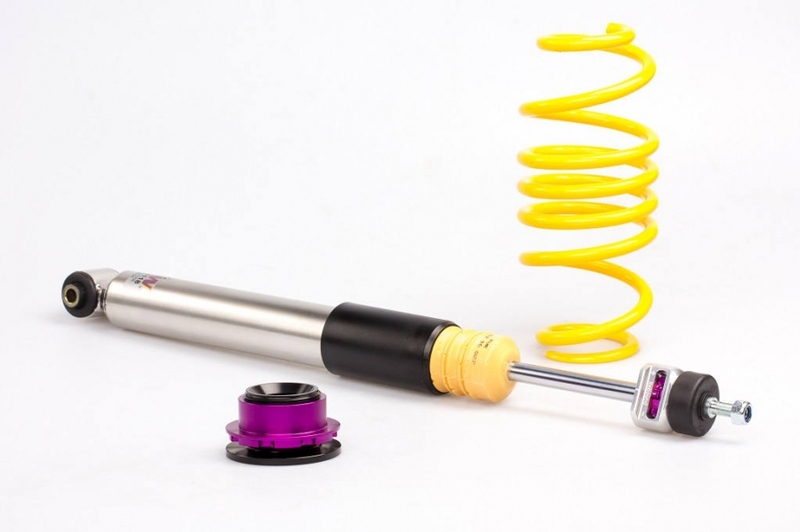 We are one of the few suspension manufacturers that are able to offer a coilover kit for almost all BMW with four wheel drive. For the latest BMW 5-series, the F10 generation, we have not only developed the KW Variant 1, Variant 2, Variant 3 coilover kits as well as the KW Street Comfort, but also have the KW Clubsport coilover kitsavailable for the M5! For the 3-way KW Clubsport coilovers you can adjust the rebound with 16 clicks and additionally the low speed compression damping with six clicks and the high speed compression damping with 14 clicks. 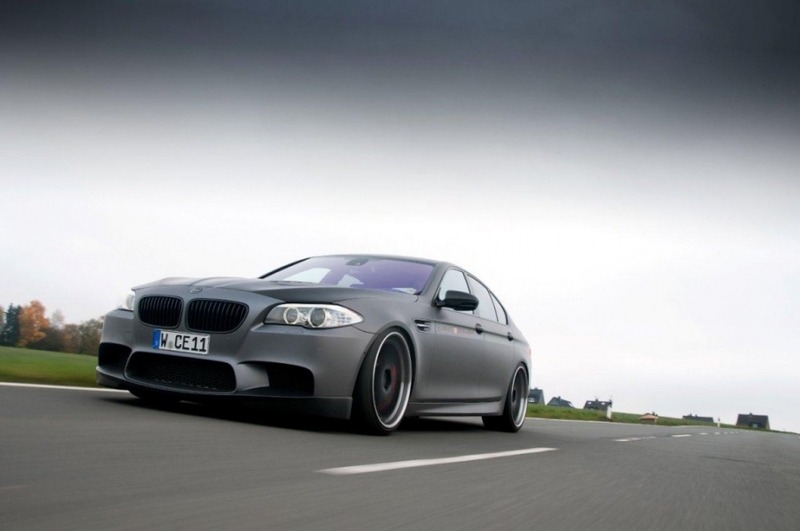 For those who do not drive an M5, you can find the perfect suspension for every demand with the KW Variant 1, Variant 2 and Variant 3 coilover kit as well as the KW Street Comfort with a maximum lowering of up to 55 mm. If you want to be even more exclusive, we also offer the adaptive KW DDC ECU coilover kit with optional Android or Apple iOS DDC App Control for your 5-series station wagon (F11) or the 5-series sedan (F10). Even if you own a F10 or F11 with xDrive, KW also has something for you. We are the only suspension manufacturer that has developed a coilover kit for all xDrive 5-series of the F10 generation. This means, we offer almost as many suspension options as BMW offers engines for the latest 5-series. Of course, all detailed information and vehicle-specific notes can also be found in our KW Online-Shop. A great thank you to everybody for the free support of images. Thank you to the BMW E28 Facebook Group, especially Brian Scroggins, Sean Langan and Phil Lockenvitz for their E28 images!